The "Conjuring" spinoff "Annabelle: Creation" scared up an estimated $35 million in North American theaters over the weekend, making it easily the top film and giving the lagging August box office a shot in the arm. The opening came close to matching the film's predecessor, "Annabelle," which opened with $37.1 million in October 2014. Warner Bros. could celebrate not only the month's biggest debut but also having the week's top two films. Christopher Nolan's "Dunkirk" followed in second with $11.4 million in its fourth weekend, according to studio estimates Sunday. Even amid an especially weak August, the well-reviewed horror sequel and modestly budgeted "Annabelle: Creation" found eager audiences. "That we were able to do $35 million in what is a very sluggish marketplace was very impressive," said Jeffrey Goldstein, Warner Bros.' distribution chief. "We all know that moviegoing begets moviegoing and right now it's a dip in the content overall." The film, the third to spiral out of 2013's "The Conjuring," cost only about $15 million to make. More sequels and spinoffs are being developed in what has become for Warner Bros. a steadily profitable horror franchise bent on old-school frights. The "Annabelle" offshoot centers on a possessed doll. Last week's top film, the poorly received Stephen King adaptation "The Dark Tower," slid dramatically. The Sony Pictures release, starring Idris Elba and Matthew McConaughey, toppled nearly 60 percent on its second weekend with an estimated $7.9 million. The week's other new entry, the Open Road animated release "Nut Job 2: Nutty by Nature," edged just above "The Dark Tower" with $8.9 million. That was well below the 2014 debut of the original, "The Nut Job," which opened with $19.4 million. 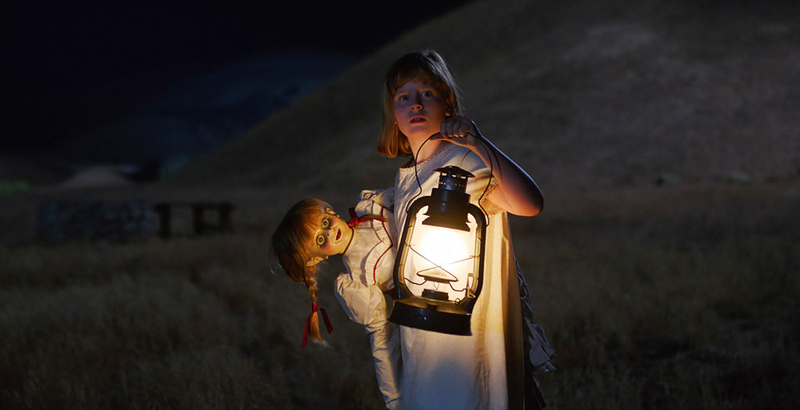 But the solid returns for "Annabelle: Creation" did little to counter the box-office slide. Ahead of the weekend, the domestic box office was 11 percent off the pace of 2016's summer. This weekend was also down considerably from the same timeframe last year, when "Suicide Squad" was leading the box office despite brutal reviews. Some of July's bright spots, however, have continued into August. 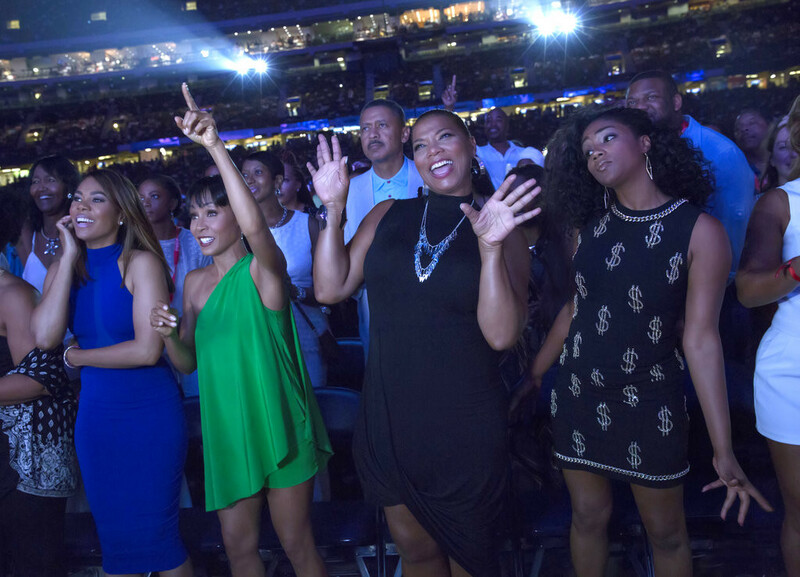 The summer's top comedy, "Girls Trip," will soon surpass $100 million domestically. The movie, starring Jada Pinkett Smith and Queen Latifah, took in $6.5 million in its fourth week to bring its cumulative total to $97.2 million. It may end up doubling the gross of its closest summer comedy competition: the starrier and pricey "Baywatch" ($58.1 million in its entire run). In limited release, the A24 crime thriller "Good Time," starring Robert Pattinson, debuted with a robust $34,000 per-screen average on four screens. That was bettered, though, by the $47,000 screen-average of Neon's "Ingrid Goes West," with Aubrey Plaza, on three screens. Both films expand in coming weeks. 1. "Annabelle: Creation," $35 million. 3. "Nut Job 2: Nutty by Nature," $8.9 million. 4. "The Dark Tower," $7.9 million. 5. 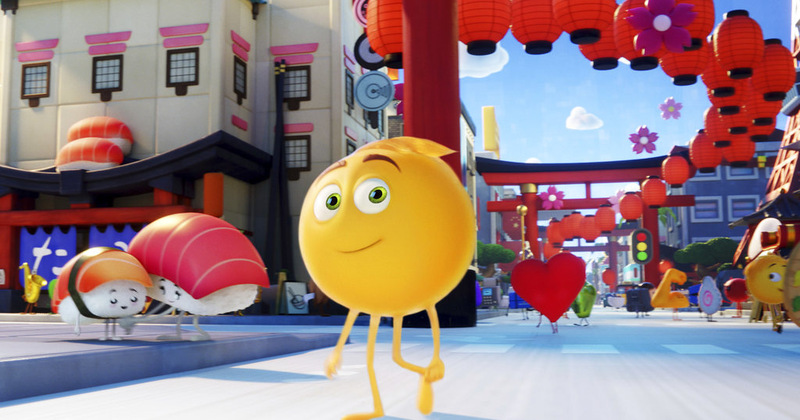 "The Emoji Movie," $6.6 million. 6. "Girls Trip," $6.5 million. 7. "Spider-Man: Homecoming," $6.1 million. 9. "Glass Castle," $4.9 million. 10. "Atomic Blonde," $4.6 million.